LATERALLY THINKING is a series of articles designed to explore how the lessons we learn on a slackline can be translated into lessons for everyday life. I believe that our global approach to Relaxation is out of balance. We place it in context as something we do when we have ‘time off’, something that we might mark on the calendar or set a reminder for. We have what appears to be a 80:20 approach of tension:relaxation, especially in the West, but I would go further and say most humans hold more tension in their waking state than they experience relaxation. How is this possible? How have we built such immense stamina to hold tension for the vast proportion of our day? Surely this is inefficient, and regarding physiology, an uneconomical expenditure of energy? We have all experienced stress; the strain experienced from holding too much tension in one way or another. And what favours has stress done for us? I get nowhere on the slackline when I am stressed. And it’s pretty much the same story in Life, too. Physics) The exponential return of a system to equilibrium after a disturbance. A feeling of refreshing tranquility and an absence of tension or worry. An occurrence of control weakening. Already from the above definitions, you can see how relaxation is imperative when learning to balance on the slackline; “A return to equilibrium“! From the above definitions, slacklining can be classed as a Relaxation Technique, and the learned self-control in order to achieve balance not only induces a state of Flow but also produces an emotional state of low tension. Slack Line. Slack Mind. To get a metaphorical idea of the 80:20 principle in nature, just fill a cup with water. Look at the meniscus on the surface. Compared to the whole cup of water, only the surface holds tension, the rest is in a state of relaxation, of being. It’s quite incredible to see what happens in life once you are really relaxed. A lot can manifest at the point of least tension. Relaxation is a skill. It can be learnt, broken down in to steps, mastered and applied either on demand, or formed into a useful habit. Just imagine if you could habitualise Relaxation to the point where 80% of your waking state is spent with an absence of tension or worry! As a slackliner, learning how to balance relies on learning to relax. 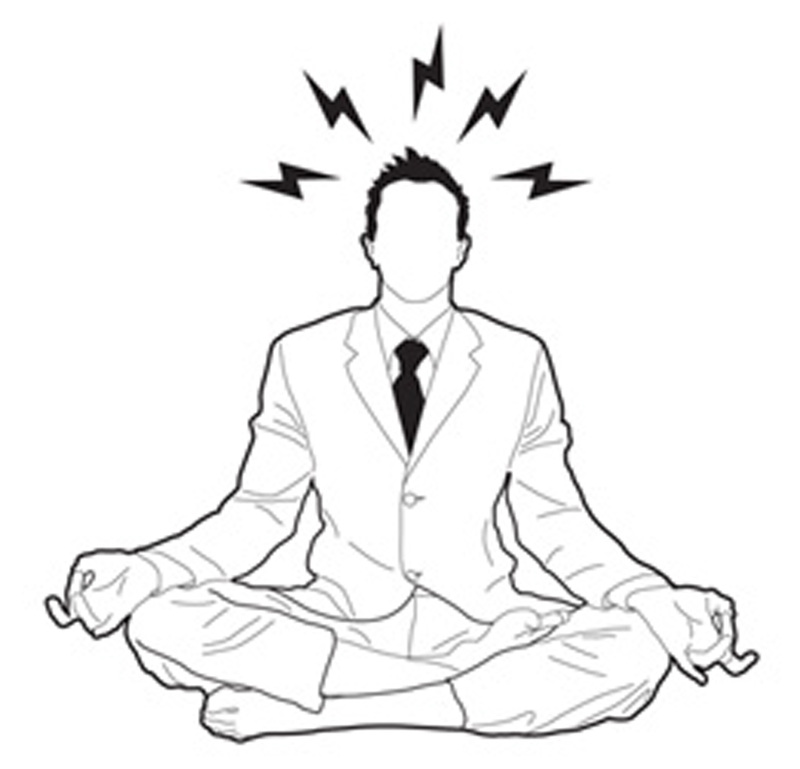 You are able to conserve more muscular and mental energy when in a relaxed state. This usually means you can slackline for longer periods of time, enjoying it more and having that feeling of relaxation carry over into the rest of your day. The more tension you hold, the faster you burn out. If you are just starting your slackline journey and are finding it difficult to maintain a state of balance or take a few steps, use some thing that will allow you to just stabilise for a moment, such as a partner’s shoulder or lightly holding a tree branch. 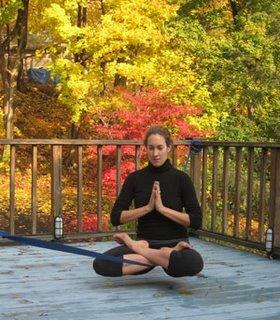 Once you’ve maintained stability – either solo or with help – take a deep, complete breath in, then exhale. Your breath should be smooth. If you stutter, keep breathing in and out deeply and slowly until smooth. Notice how your body responds and relaxes. Notice how the line, too, begins to wobble less. If you start to get the hang of relaxing whilst static balancing, try it whilst walking, or performing a static trick such as the Drop Knee. Try to maintain complete awareness of your movement and notice if you start to hold unnecessary tension. If tension creeps in, pause and pay extra attention to your breath again. It doesn’t take a slackline to be rigged every time you want to practice relaxation. This takes time to perfect. Begin with the intention of wanting to find unnecessary tension and you will soon become more and more aware of where it exists. Areas of the body, such as: the jaw, upper trapezius muscles and brow are good places to start your tension hunt. Pay attention to your inhalation, feeling where the breath is going to in your body (diaphragm, lungs, chest) and your exhalation. Consciously try to release the tension in sync with your exhalation. You naturally tense parts of your body when inhaling, so use the out-breath as a catalyst for release. Paying attention to tension in your muscles and how to relax them on demand is the basis for stretching. Practice often and you will gain an increased awareness and control of your musculature, as well as benefiting your slackline game! I use Classical Pilates and various Yoga, PNF and AIS stretching techniques to help perfect my physical and mental Relaxation skill. You will notice that if you concentrate on your breath to achieve Relaxation for extended periods of time, you will begin to experience a state of concentrative meditation, or Flow. The Yoga Slackers were a big inspiration to me, too, when it came to realising what was possible on a slackline and how to transfer those new skills to everyday life. I challenge you to pay attention to your daily tension, and try to balance it out with relaxation. Can you reach a daily state of 80:20? How do you enter a state of Relaxation? Any useful advice you can share? 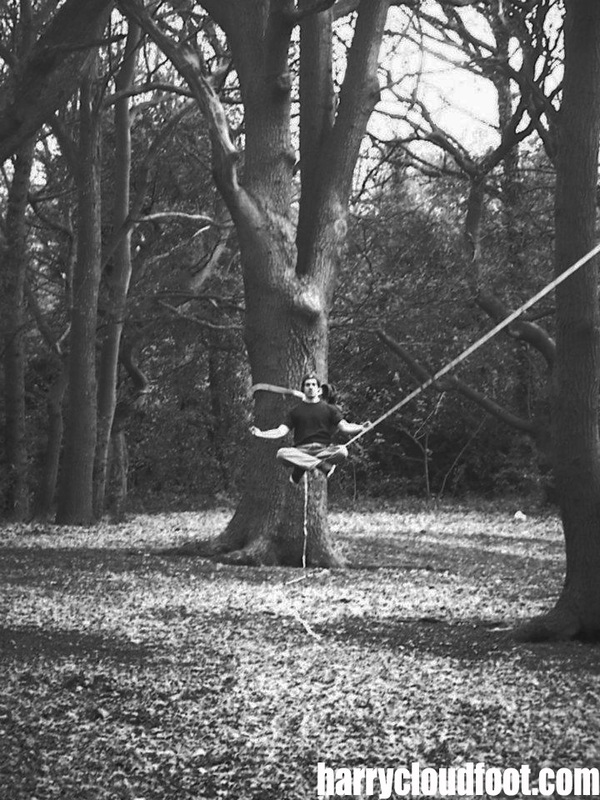 Harry Cloudfoot is a slacklining instructor based in London, UK. To book lessons or workshops with him, click here. This entry was posted in Balance, Self-Experimentation, Slacklining and tagged Ajahn Sumedho, awareness, balance, breath, deep relaxation, flow, learn to slackline, meditation, Mich Kemeter, mind tools, mindfulness, physical relaxation techniques, Pilates, relaxation response, relaxation technique, return to balance, Ron Kauk, self-development, self-experiment, skill acquisition, slackline instructor, slacklining, slacklining classes london, stress, Stress is in the mind, stress management, stretching, taoism, tension, The Still Silence, train your mind, zen by harrycloudfoot. Bookmark the permalink.